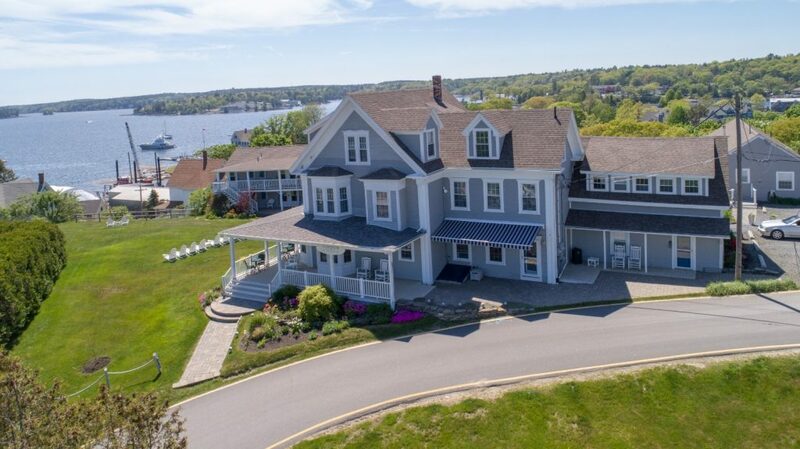 A large front porch greets you at the entrance to our Main House above Boothbay Harbor, home to stunning views across the lawn and the sea beyond. Step inside to find inviting common areas and a wall of information on walking paths, events, boat schedules, and local shops and galleries. There’s a comfortable living room in front and a serving room in the back for breakfast, snacks, and tea throughout the day. The dining room along the western side offers spectacular views across the harbor of the morning light and stunning sunsets. 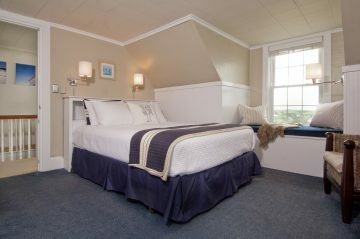 There are seven wonderful rooms to choose from in the Main House. 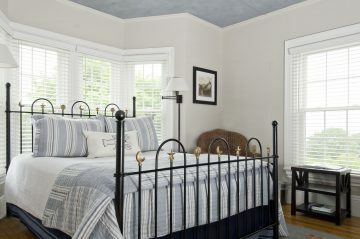 Room 1 on the first floor is big on space, comfort, style, and has fewer stairs for those who don’t mind sacrificing a little privacy. 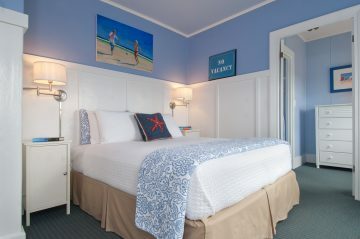 The second floor is home to three of our most popular options among guests. 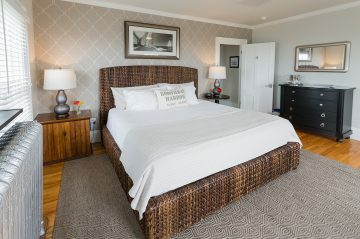 Room 2 overlooks the village and the famous footbridge that stretches across the inner harbor while Rooms 3 and 4 have magnificent views of the ocean and extra-large bathrooms. 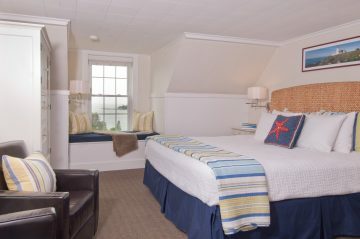 Rooms 6 and 7 on the third floor each have their own dormered window seat with stunning views and access to a cozy sitting area with a breathtaking panorama of Boothbay Harbor. 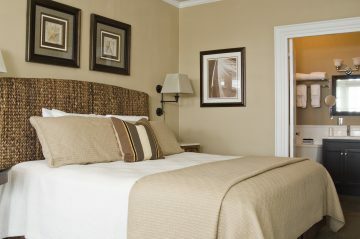 Get a closer look inside the Main House rooms below!